Last summer I got a henna tattoo at a festival in my neighbourhood. It was a long time ago since I had my last one so I thought ‘time for a new one!’ I like henna tattoos a lot but I get tired of them very fast. So it’s great they don’t last very long. The woman who did it said it would last 2 weeks but I think it stayed on my hand for a month. I always like it more when the henna is still on my hand, it’s black and looks like it has more details. 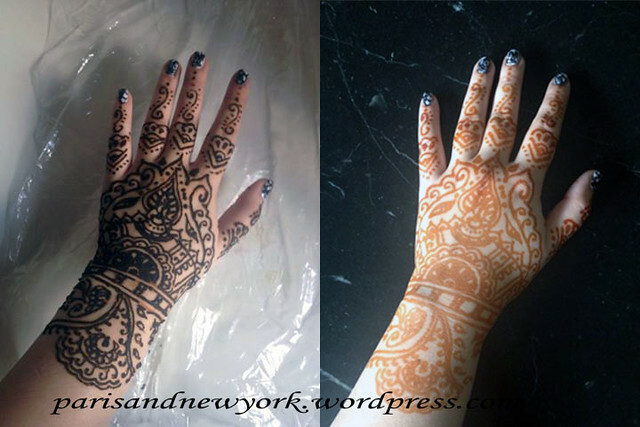 What do you guys think about henna tattoos? Just love it ! The Left one is beautiful, i Also like them more when they ar black! I’ve always thought of trying it out, never got to that though. Just can’t seem to find a proper place, where they do these.